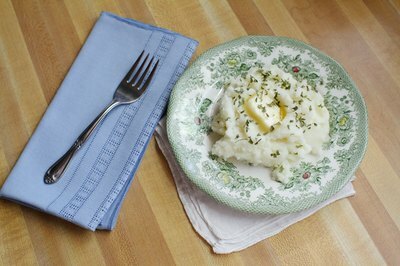 Watery, soggy mashed potatoes can make an appetizing side dish into a dinner flop. Whether you didn't drain the potatoes properly or you added too much liquid, you can use the same techniques to dry out and thicken the potatoes back to their full glory. 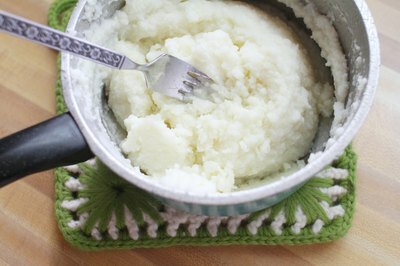 If you have a few minutes, a low-heat method evaporates the excess moisture so all that remains is fluffy pure mashed potato. Adding a thickener is best reserved when you are short on time and don't mind any small flavor or texture changes the thickener may make. 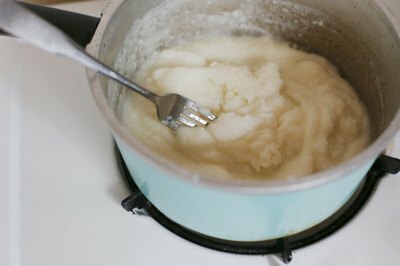 Pour the runny mashed potatoes into a large pot. 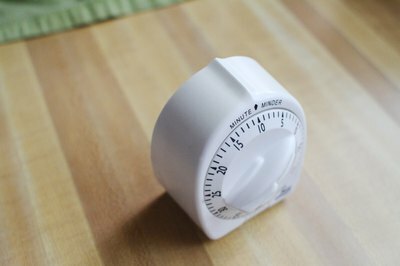 Put the pot over low to medium-low heat. Stir the potatoes occasionally with a fork so they don't stick to the pan. Stirring also helps them heat evenly. Heat and stir for three to 10 minutes, or until the excess moisture evaporates out and the potatoes are at the desired consistency. Serve warm. 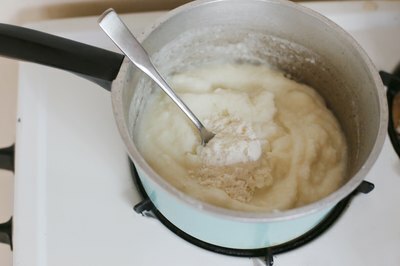 Add 1 tablespoon of powdered milk or instant potato flakes to the warm mashed potatoes. Stir the thickener into the potatoes with a fork until it's thoroughly incorporated. Add more thickener, 1 tablespoon at a time, if needed. Fluff the potatoes with a fork and season as desired. Serve warm. Drain the potatoes completely and toss them back in the hot pot for a few minutes so any excess moisture evaporates before mashing to help minimize sogginess. Add liquids, including butter and milk, in small increments. Too much butter can lead to soggy potatoes as it melts. Avoid over-stirring the potatoes when you are reheating them or adding thickeners. 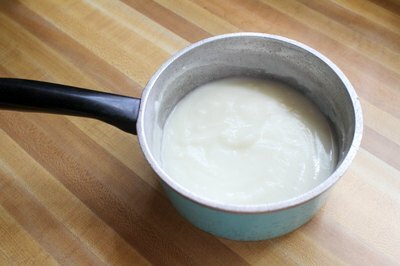 Stirring too much or too vigorously can result in a gluey consistency. Stirring with a fluffing motion instead of vigorous mixing helps prevent this.